Patients can find a wide variety of important restorative services at Murphy Family Dentistry. 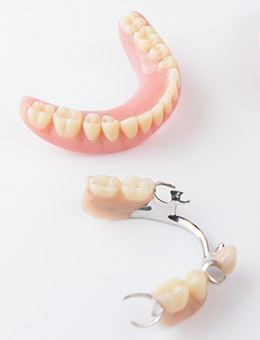 We offer a range of solutions for helping patients create stronger, healthier, and more beautiful smiles. Our team is committed to providing high-quality, personalized care, so please don’t hesitate to contact us for assistance. Why Choose Murphy Family Dentistry for Restorative Dentistry? 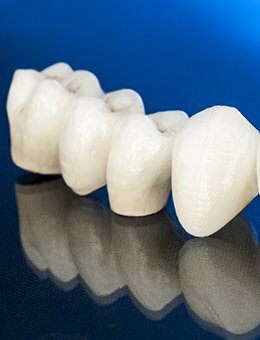 Dental crowns are designed to cover the natural “crown” of a tooth, both preserving what remains following severe decay and injury and creating a brand-new shape that allows for full function and confidence once more. Our dentists often recommend custom-made dental crowns for cases of weakened enamel, severe cosmetic imperfections, and even to restore teeth replaced by dental implants or treated with root canal therapy. If you received a dental filling for a cavity in the past, there's a good chance it was an silver filling called an amalgam. Though known for being durable, amalgam fillings don't look very natural. They're made from a mixture of different metals, giving them a dark gray color that stands out against an otherwise white smile. 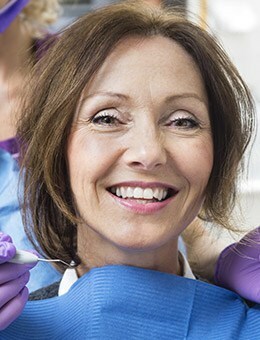 As a result, patients who have received multiple amalgam fillings over the years may feel self-conscious about smiling. Thankfully, there's an alternative today that's cosmetically and restoratively superior to amalgam fillings. Known as tooth-colored fillings, this option can help you treat cavities without dramatically changing the appearance of your teeth. That's because they can be shaded to match your smile's natural color, providing you with more discreet results. Have you badly cracked a tooth while playing your favorite sport? Is your child experiencing a severe toothache that isn’t getting better over time? These situations are often frightening, but already having a trusted dental team in your family’s corner can make a world of difference. Here in Murphy Family Dentistry, Dr. Najari and Dr. Nguyen welcome in new and current patients alike for fast, reliable emergency care. In most cases, we can provide much-needed relief on the same day as your initial call.